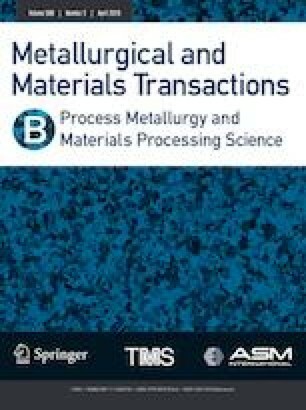 This paper reports a Galerkin finite-element analysis of carbon partitioning from martensite into austenite during the quenching and partitioning (Q&P) processes in steels. 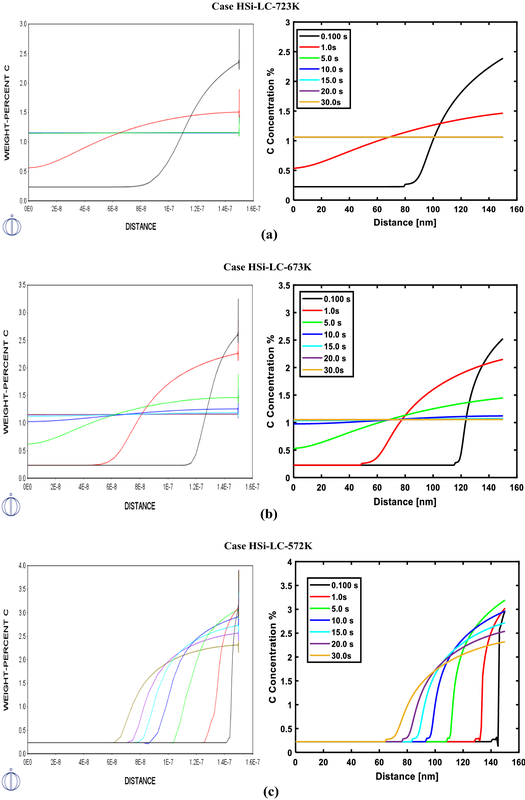 In contrast to classical or sophisticated diffusion field models, an alternative nonlinear governing equation based on chemical potential and composition is considered. The model is applied to simulate the carbon partitioning of modified 22MnB5 alloys assuming an immobile austenite–martensite phase boundary and, in turn, is compared with experimental measurements of the volume fraction and carbon content of retained austenite. The simulations show outstanding results on the influence of Si and C content on the partitioning parameters. Manuscript submitted October 25, 2018. The authors are grateful to the financial support of the National Key Research and Development Program of China (No. 2017YFB0304401) (No. 2017YFB0703003), National Natura Science Foundation of China (U1564203, Nos.51571141 and 51201105), and the Interdisciplinary Program of Shanghai Jiao Tong University (No.YG2014MS23). Julio C. Gonzalez Lainez is grateful to Professor Wei Li and Doctor Yu Gong, School of Materials Science & Engineering, Shanghai Jiao Tong University, for the stimulating discussions that contributed to guide this research all along its development. The authors are very gratefully to the support provided by the Chinese Scholarship Council (CSC). Figure A1 describes the comparison of the carbon distribution in the austenite domain obtained from Thermo-Calc (DICTRA, by the combination of database MOBFE3 with TCFE8) with the current computational simulation. It is worth noting that the commercial software Thermo-Calc (version 2017a and older) lacks a thermodynamic database termed as “martensite” or “BCT” (Body Centered Tetragonal). Hence, the DICTRA module considers that martensite and ferrite phases have similar thermodynamic data. As expected, a significant deviation between both models is found as the partitioning time increases, because DICTRA module limits the system setup to only four elements and the carbon diffusion coefficient determined by Agreen’s equation simply considers the carbon content. In contrast, the carbon diffusion coefficient calculated from Lee’s model considers the effect of alloying elements.